Welcome to Caribbean Comeback, in which TPG shines a post-hurricane, pre-season spotlight on the region. Stay tuned for more stories throughout the week, and be sure to share tips in the comments if you’re planning an upcoming trip. If you have Total Rewards status, you could cash in on a free trip to the Bahamas. 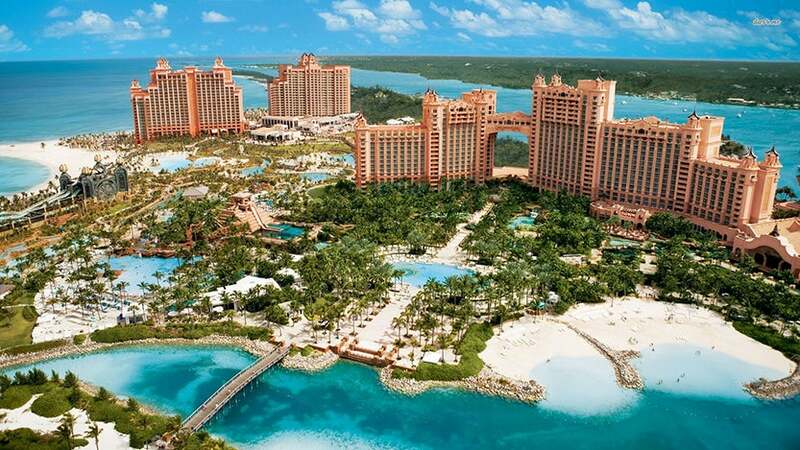 Image courtesy of Atlantis Resort. As Besmall A. reminds us, if you have Platinum status or higher in the Total Rewards program used by Caesars Entertainment, you can get a free trip to the Atlantis, Paradise Island resort in the Bahamas: “Have to take advantage of my Atlantis free nights from the Total Rewards program.” Hopefully Besmall can utilize airline miles or transferable points to book an award flight, keeping out-of-pocket costs to a minimum. The number of nights and the specific perks that come with your complimentary annual trip will depend on your status level, and remember that you can match to Total Rewards Platinum if you hold the Wyndham Rewards Visa Card. Just remember to book your trip by January 31, 2017 for travel by February 28, 2018. A trip to beautiful Anguilla might not be possible completely on points and miles, but they can help you reach nearby Puerto Rico. Image by ©thierrydehove.com/Getty Images. Reader Carol-Ann M. has us intrigued by her plan to use 35,000 United miles to fly round-trip in economy from Denver to San Juan and then pay cash to fly Seaborne Airlines from SJU to Anguilla (AXA), with a stay at the Meads Bay Beach Villas. Cash rates for a round-trip flight on this route hover around $400 for the next several month, and this Eastern Caribbean island does indeed look quite beautiful. The Southwest Companion Pass lets you book two-for-one award travel to the Caribbean. Image by 700 Pale Blue via Wikimedia Commons. Several readers would love to use Southwest’s ultra-valuable Companion Pass to enjoy two-for-one travel to various destinations in the Caribbean. Daniel M. is eyeing the Turks and Caicos, and hope to utilize the Companion Pass for travel to the island. Dan S. envisions an itinerary from Pittsburgh (PIT) to Grand Cayman booked on Southwest, using points to book some tickets as well as the Companion Pass. Once on the island, Dan would spend a whopping 560,000 points for a 10-night stay at The Ritz-Carlton, Grand Cayman — one of the best points hotels in the Caribbean, and a property TPG himself very much enjoyed. The latest celebrity to hitch themselves to hurricane relief is Lin-Manuel Miranda, who will reprise his lead role in Hamilton during the show’s three-week run in Puerto Rico in January 2019. And although CBS News has reported that a third of the island’s hotels remain shuttered in the wake of Hurricane Maria, several readers are already thinking ahead to a day when the U.S. territory is poised to welcome its full swing of tourism. As Suzanne Marie says, “After Lin Manuel Miranda’s announcement yesterday I am HIGHLY interested in going to San Juan for Jan 2019….direct flights from NYC on Delta and a stay at the cheapest room I can find, all my money will go to Hamilton tickets.” Reader Meg G. also wants to plan a trip to San Juan using American Airlines AAdvantage miles for the flights, and will try her luck with the American Express Platinum Concierge to see if it’s possible to score affordable tickets to the smash-hit musical. Featured image of Saint Martin, a TPG reader favorite, bySpVVK/Getty Images.